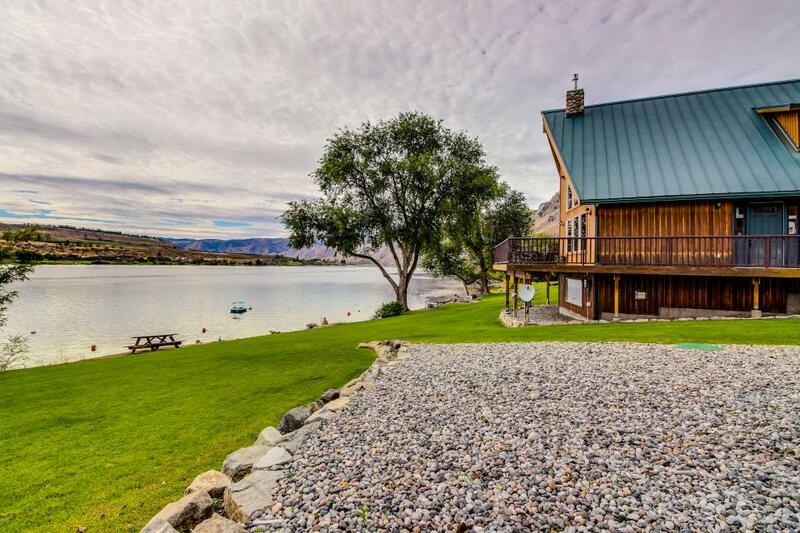 Entiat Lake House is a beautiful home with an upscale cabin feeling. This well appointed 3 bedroom, two bathroom vacation home features hardwood and tile floors, 2 gas river rock fireplaces, an open living floor plan, comfortable furnishings and beautiful views. A large grass lawn leads you to the water, your own private swimming beach, and three moorage buoys which makes using your watercraft a snap. In addition, Entiat Lake House is located just below the "tunnel hill" to Lake Chelan putting you within minutes of restaurants and other activities. View the full list of amenities to learn more about this terrific vacation property.